Since it’s me, and it’s October, I’ve had a hard time cooking up anything that doesn’t have pumpkin in it. I’ve been getting creative with my pumpkin purée addiction, and recently came up with a recipe that might just change your kitchen, and taste buds, forever. 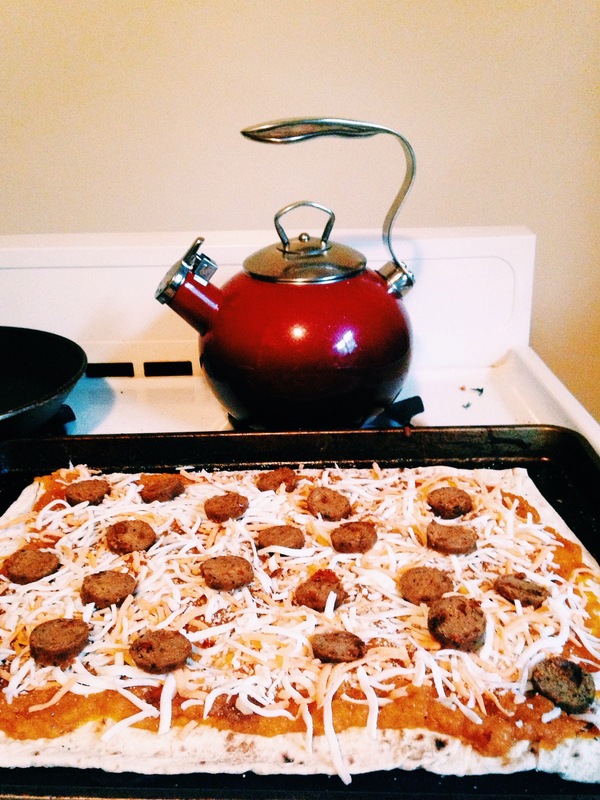 My pumpkin flatbread pizza recipe is healthy, affordable, vegan, and incredibly quick and easy! -You can use the flatbread of your choice, but I used one sheet of Armenian lavash bread. -Lay flatbread onto a baking sheet. -Spread one can of pumpkin purée evenly onto your bread. 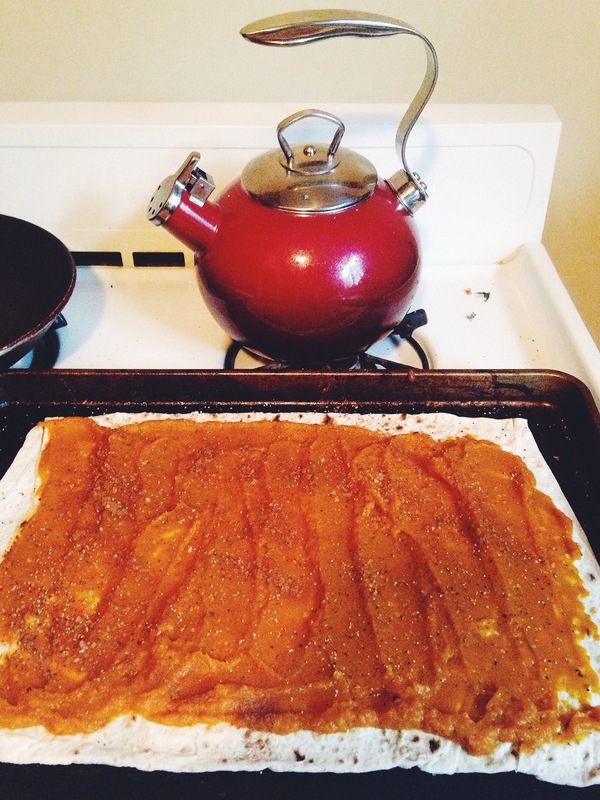 -Top with pumpkin pie spice, cayenne, pepper, and sea salt. 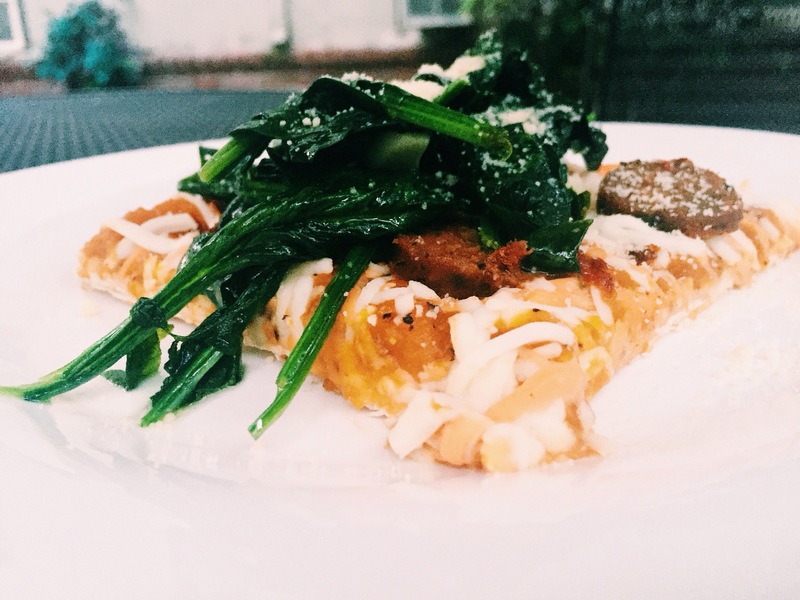 -Evenly spread your vegan cheese on top of the pumpkin purée. -Thinly slice your Tofurkey sausage and place on top. -Place your flatbread in the oven and bake for 15-20 minutes, until cheese is melted and flatbread is just a bit crispy. -While baking, sautée your spinach and garlic in olive oil. 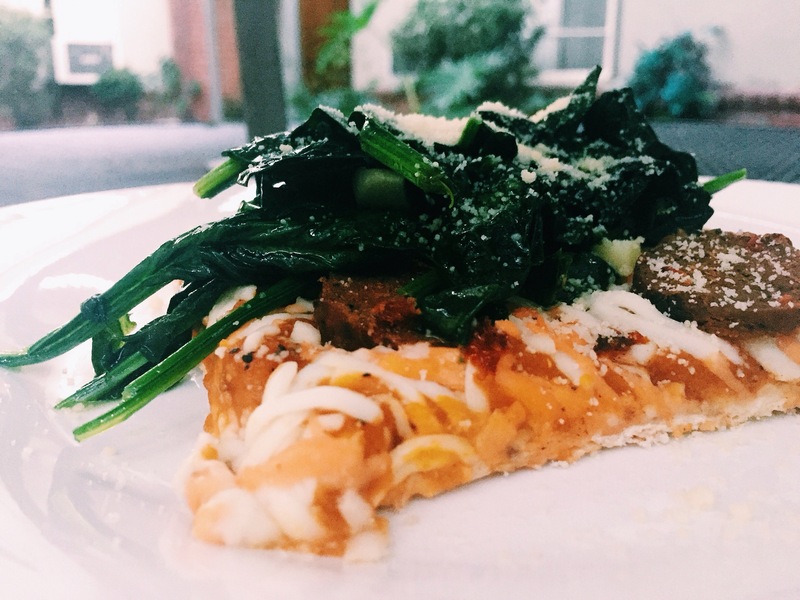 -Cut your flatbread into fourths, top with garlic, spinach, and vegan parmesan.